BETHLEHEM, Pa. – It’s a news item in the Lehigh Valley when there isn’t an Ivy League team on the football schedule. Under the direction of first-year head coach Tom Gilmore, Lehigh will play an 11-game schedule in 2019 with three Northeast Conference foes on the non-league slate along with teams from the Colonial Athletic Association and Big Sky Conference, in addition to the Patriot League schedule. For the first time since 1984, Lehigh won’t face off against a member of the Ivy League. Since joining the Patriot League, the Mountain Hawks have played at least one Ivy League opponent in football ever since the founding of the division in 1986. Overall Lehigh has contested 74 games against Ivy League foes during that time vs. Harvard (11), Yale (14), Princeton (21), Penn (12), Cornell (9), Dartmouth (6), and Columbia (10). Instead, Lehigh will open its season at home for the fourth consecutive season, and for the second straight year the opponent will be the Saint Francis (PA) Red Flash. This will be Tom Gilmore’s debut as Lehigh head coach on August 31st during Labor Day weekend. The Mountain Hawks won last year’s opener 21-19 behind three Dom Bragalone touchdowns and a blocked field goal on the game’s final play. Last season, the Red Flash finished 5th in the NEC with a 2-4 record. 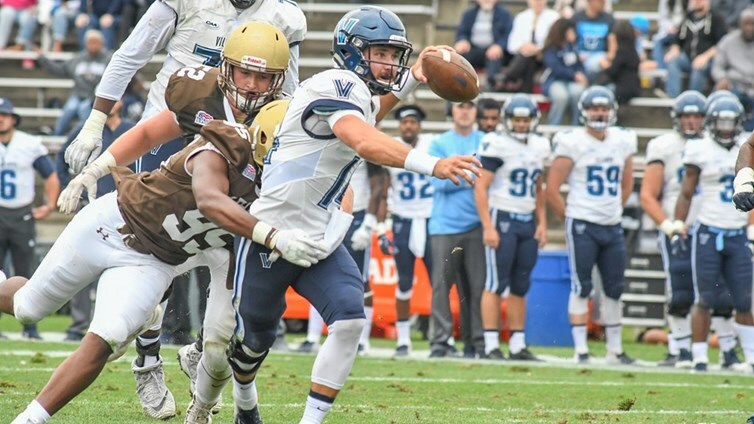 The Mountain Hawks will head down the Main Line the following week to meet Villanova, marking the fourth straight season that Lehigh and Villanova will meet on the gridiron. The Wildcats started strong last season, upsetting Temple 19-17 and dominating Lehigh 31-9, but injuries caused them to stumble in CAA play and finished with a 5-6 record, though they won two of their last three games. September 14 marks the Mountain Hawks’ first trip to California since 1998 when they play at UC Davis. It will mark Lehigh’s first game in California since a 22-16 win at St. Mary’s in 1998. Lehigh has met UC Davis once before, a 39-30 win in the Knute Rockne Bowl in Davis, in the Division II national semifinal that propelled the Brown and White to the 1977 national championship. The Aggies are coming off a 10-3 campaign in which they reached the FCS quarterfinals, losing to conference foe Eastern Washington. 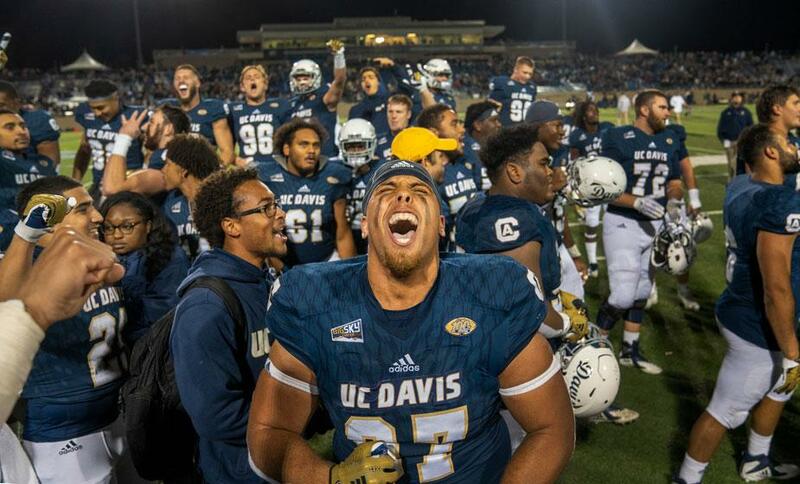 During the regular season UC Davis went 9-2 and 7-1 in conference, finishing as co-champions of the Big Sky Conference. It was the Aggies’ first-ever Big Sky championship and their first conference title since 2009, when they were a part of the Great West conference. Following the first of two bye weeks (September 21), Lehigh returns to Goodman Stadium to host Merrimack September 28 in the first-ever meeting between the two schools, and Merrimacks’ first-ever football game against a Patriot League opponent. Originally this was supposed to be a Lehigh home game against Wagner, but the NEC needed to adjust its league schedules to accommodate the new additions of Merrimack and LIU, and the conference helped replace the home date for Lehigh. Patriot League play begins the following weekend in Hamilton, N.Y. as Lehigh and Colgate meet in a game that always seems to have league title implications. 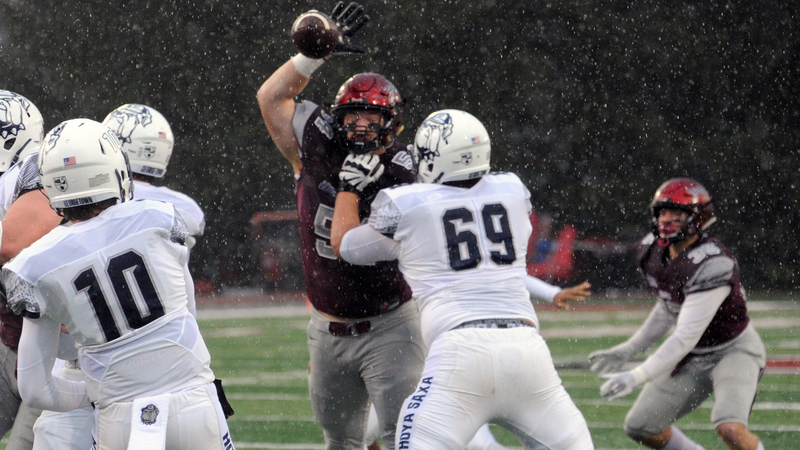 The teams have won or shared the last four Patriot League titles, with Colgate winning last year’s title and advancing to the FCS quarterfinals. A second bye week (October 12) will be followed by a visit to Fordham (October 19) and then back-to-back home games against Georgetown (October 26) and Holy Cross (November 2). The game against Holy Cross will certainly be one to circle on the calendar, as it will match Gilmore against the team he served as head coach for from 2004 to 2017. Lehigh will then play consecutive road games, visiting Bucknell on November 9 and then closing out the non-league schedule at Sacred Heart, November 16 in Fairfield, Conn., in the first meeting between the two schools in football. The Pioneers were NEC co-champions in 2018, finished with a 7-4 (5-1) record and just missing out on the NEC’s automatic bid to the FCS Playoffs to Duquesne. They also beat two Patriot League teams that are common opponents of Lehigh’s: Lafayette (35-6) and Bucknell (30-14), while losing to another team Lehigh played last year in Penn (31-27). The regular season concludes when Lehigh hosts Lafayette on November 23 for the 155th edition of the Rivalry. Lehigh has won the last four meetings between the two schools, including a 34-3 triumph last season in Easton. Lehigh will be looking to bounce back from a 3-8 campaign in 2018, which followed back-to-back Patriot League titles in 2016 and 2017. 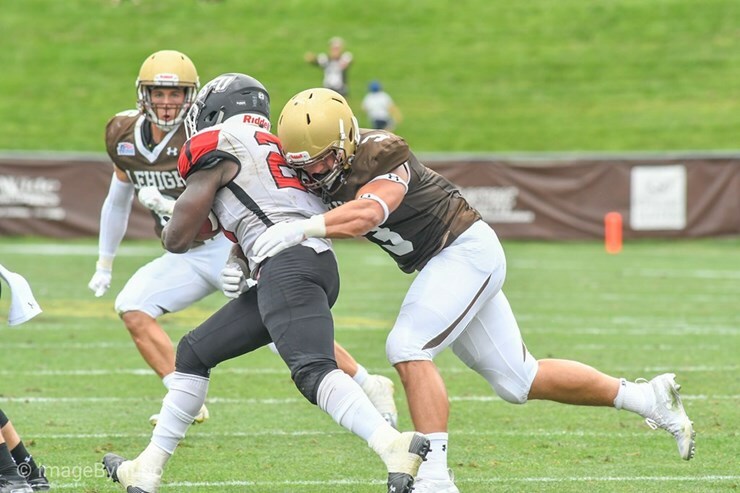 The Mountain Hawks had four All-Patriot League selections a season ago and return two of those all-league honorees in wide receiver Jorge Portorreal and safety Sam McCloskey. Season ticket renewals for the 2019 campaign will begin on Wednesday, February 6, which coincides with the traditional National Signing Day. New season tickets will go on sale April 15, while mini plans and group tickets will go on sale May 13. Single game tickets go on sale June 17, which also marks the start of the ticket request process for the Lafayette game. Purchasing season tickets continues to be the best way to guarantee to the annual Lehigh-Lafayette game. The spring football schedule has not been finalized yet.